Google's Project Fi hybrid MVNO allows users to use Wi-Fi Hotspots for voice, text and data. When out of range, subscribers are connected to either the Sprint or T-Mobile network. Project Fi members can choose from three handsets, the Nexus 6, Nexus 6P and the Nexus 5X. Google announced on Tuesday that customers, who had to receive an invitation to join, can now add a tablet to their data plan. A Project Fi member can hook up as many as nine tablets to his/her account, sharing purchased data with the user's phone. Project Fi costs subscribers $20 a month for unlimited talk and text. Data is priced at the rate of $10 for each GB purchased. The cost of unused data is refunded back to the customer at the end of each month. Unlike the three handsets, which connect to the T-Mobile or Sprint network depending on which one is stronger at the moment, data-only devices run on T-Mobile's network only, when a Wi-Fi signal is not available. The tablets that will connect to the Project Fi pipeline include the Nexus 7 (2013), the Nexus 9, Samsung Galaxy Tab S, Apple iPad Air 2 and the Apple iPad Mini 4. You can order a Data-Only SIM card for your device by going to your Project Fi Account > Your Plan > Add Data-Only SIM. A SIM adapter will be required for the Nexus 7 or the Galaxy Tab S.
Does the inclusion of the two iPad models mean that the Apple iPhone will soon be available for Project Fi users? Project Fi Senior Product Manager Laura Holmes makes it sound as though some new handsets will become available for Project Fi users to choose from. "Today, we’re excited to share our latest update: support for data-only devices. With this update, you can access cellular connection from tablets and other connected devices while on the go. Once you’ve ordered and received a data-only SIM, just pop it into a compatible device, follow the instructions, and voila: instant wireless connectivity. Just like with our phone plans, you’re charged a flat $10/GB for data and pay only for what you use. You can cancel at any time. Have a look at our full list of compatible devices and data-only SIM coverage map. Existing Project Fi subscribers can order their free data-only SIMs from the “Account” page on the Project Fi website. This change is rolling out gradually, you should see the option to order data-only SIMs sometime in the next couple of days. 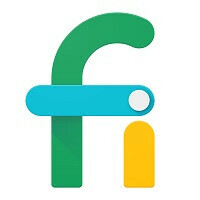 If you’re interested in being part of Project Fi’s Early Access Program, please visit fi.google.com to learn more about the service and request an invite. This is actually a good deal... Now I regret not getting my Nexus 9 last year with LTE. Great news! now I would love to see an increase in the variety of smartphones that you can use with the service.